Often referred to as the “crossroads of cultures”, the beautiful island of Cyprus lies in the sparkling Mediterranean Sea, at the intersection of East and West. Cyprus’s vibrant and diverse culture reflects its unique history and location, lying north of Africa, west of the Middle East and south of Europe. Cyprus, however, is also an island that for the past 41 years has been divided into north and south by Turkish and Greek cultures, customs and cuisines, after a Greek inspired military coup in 1974 triggered an intervention by Turkish forces. The Turkish Cypriots have continued their occupation in the North ever since, declaring independence in 1983 when they formed the Turkish Republic of Northern Cyprus (TRNC). As they say, “All roads lead to Rome”…but some are certainly more direct than others. In the past, because the self-declared TRNC was not recognised by other countries as a sovereign state, it was trickier to travel from the UK to North Cyprus because you could only get there via Turkey…the only direct flight to North Cyprus is operated by the private Azeri airline from Azerbaijan. However, since The Republic of Cyprus joined the EU in 2003, you can now also travel to Northern Cyprus via the Republic of Cyprus, which cuts several hours off your journey. North Cyprus’ international airport is located approximately 13 kilometres from the capital, Nicosia, and it is variously called Ercan Airport, Lefkosa or Nicosia Airport (depending on which airline you fly with). If you decide to fly from the UK to Ercan Airport (via Turkey) your journey will take at least 7 hours in total and you will fly out from any of these main airports (London, Stansted, Gatwick and Heathrow) via any of these Turkish airports (Istanbul, Ankara, Izmir, Adana or Antalya). Once you arrive in Turkey you are not normally required to change aircraft and the stopover usually lasts about an hour. But there is a much quicker way to reach North Cyprus, now that you are allowed to travel via the Republic of Cyprus. 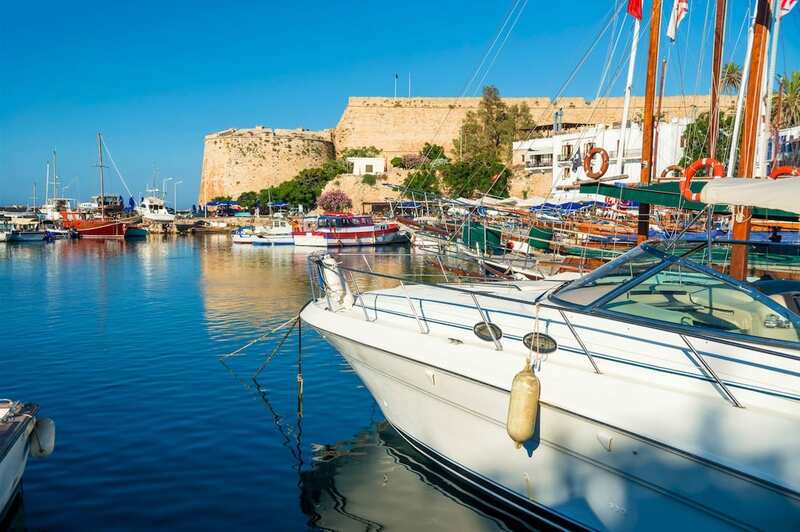 You can fly direct from the UK to Larnaca International Airport or Paphos International Airport in the Southern part of the island, a trip that takes about 4 hours. And the good news is that once you are on the island of Cyprus, as an EU citizen you can fly or drive across the border between the north and the south, at any of the seven designated access checkpoints. How Many times Can I Cross the Border Once I’m In Cyprus? You can cross any of the border checkpoints night or day, and as many times as you want to. But when you decide to return to the UK you must fly home from the same side of Cyprus that you flew into. The first time you cross the border from the south to the north you will need to show your passport and fill in a visa form, which includes details such as your name, date of birth, nationality and passport/ID number. This form will then be stamped by authorities on both sides of the border whenever you cross over. Crossing the border is fairly straightforward and locals do it every day to shop, do business and visit family or friends. The only restrictions in place are on the quantities of tobacco, cigarettes or liquor if you are coming from the north to the south. Out of the seven access points along the green line, two are pedestrian crossings in Nicosia. Crossing the border by foot takes a couple of minutes, via the Ledra Palace and Ledra Street checkpoints in central Nicosia. Can I take a Car across the Border? On both sides of the border you drive on the left-hand side of the road and driving regulations are similar to those in the UK. If you are a tourist or a short-term visitor you can hire a car and drive using your UK driving license, and although there are intermittent vehicle checks at the border, these are fairly straightforward and relaxed. Crossing the border by car usually takes about 10 minutes. If hire a car in the south, some rental companies (located near the border) will let you take their car north across the border, however you will need to pay additional insurance. The main border crossing point for cars in Nicosia is Agios Dometios. However if you have hired a car in the north, you cannot drive it south across the border. To cross the border from north to south by road you can either walk, use a privately owned vehicle or hire one of the many taxis available at the border. Why don’t you come and see North Cyprus for yourself? As you can see, it’s never been to visit North Cyprus, now that you can easily cross the border from the south to the north of the island, as well as flying in to the north via Turkey. In the past UK visitors have traditionally flocked to the southern, Greek side of Cyprus, because it was a much longer and indirect journey from the UK to North Cyprus. 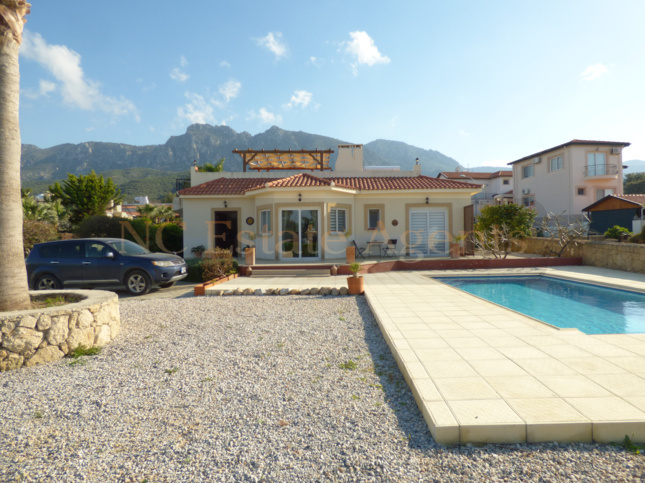 But now that you can also get to North Cyprus via the south, your travel times are dramatically reduced, and more and more Brits, just like you, are discovering, visiting and even relocating to retire in North Cyprus. But don’t just believe us…why don’t you come and see the unspoiled, uncrowded and stunningly beautiful Northern side of the island for yourself?